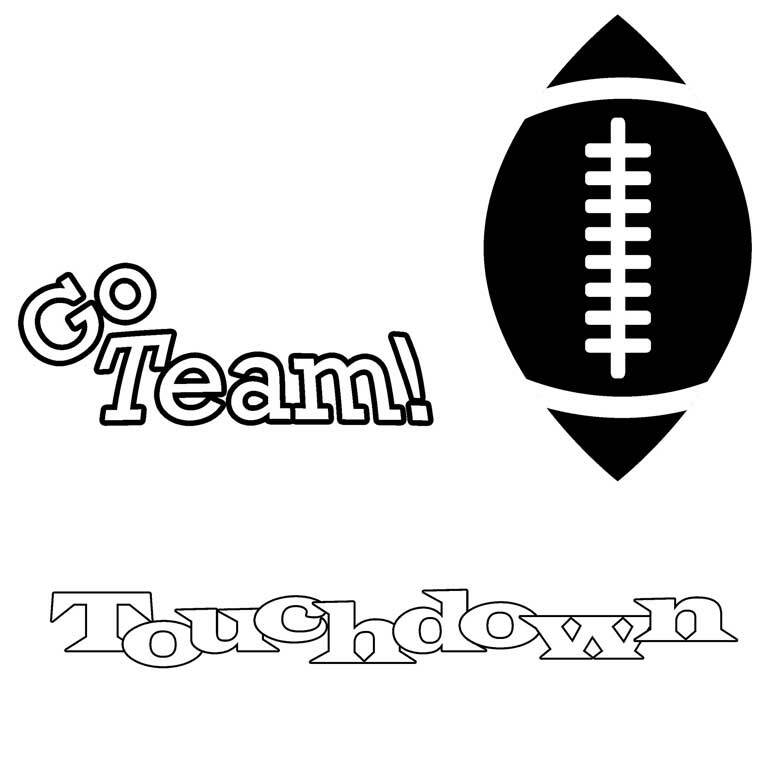 This fun, football-themed set of templates is great for loads of sports-related decorating. You can use your favorite team's colors to personalize your project, and you may want to include the team or school name for extra team spirit. Used as a wall hanging, pillow or lap throw in a den or family room, your applique project will add a pop of color to your decor. 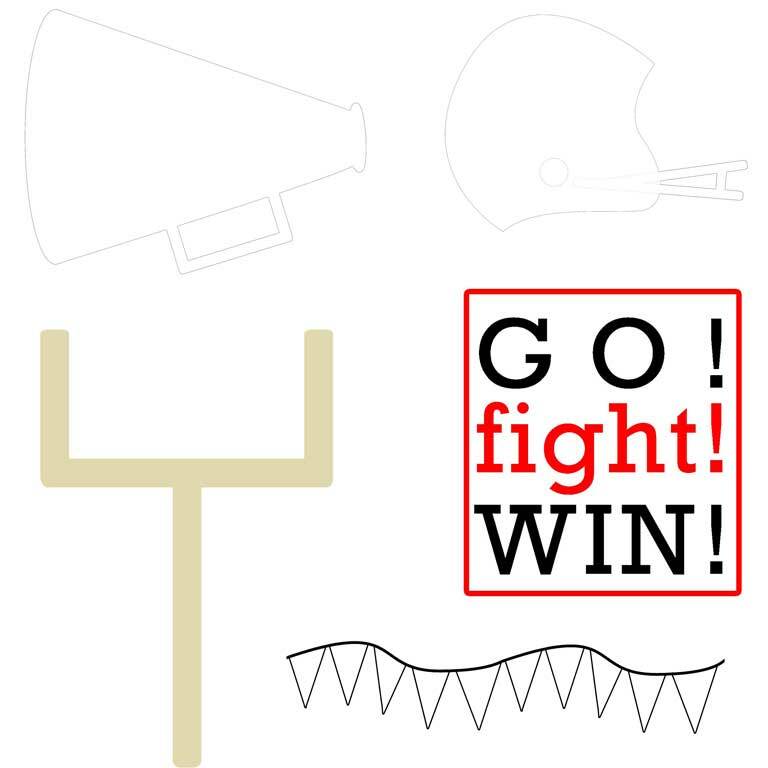 You can also use UV resistant nylon fabrics and create a yard flag to hang outside to show the neighborhood you support the home team! 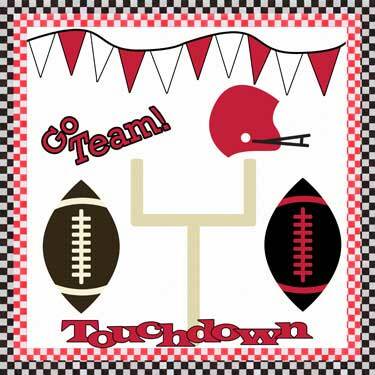 Use permanent markers to add detail and definition to your images, and be sure to use UV resistant thread to stitch the applique images to the flag to ensure durability. 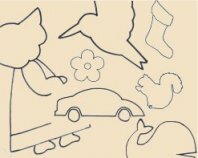 The line art for all the pieces you see in the scene below are included. 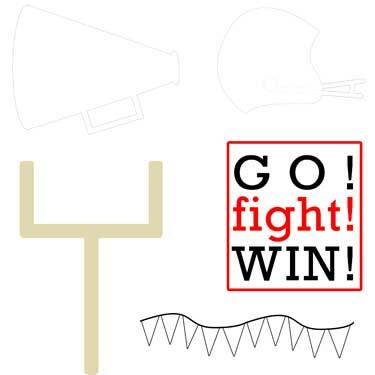 Make this quilt as simple or complicated as you wish with the football graphics.